Go Direct pH can be used for any lab or demonstration that can be done with a traditional pH meter, including acid-base titrations, monitoring pH in an aquarium, and investigating the water quality of streams and lakes. The Go Direct® pH Sensor is fully supported with LabQuest 2 (version 2.8.5), a standalone data logger with built-in graphing and analysis software. Connect Go Direct pH to the included Micro USB Cable and any USB device for two hours. Connecting the Go Direct pH BNC Electrode to the electrode amplifier during charging is optional. You can also charge up to eight Go Direct pH Sensors using our Go Direct Charge Station, sold separately (order code: GDX-CRG). An LED on each Go Direct pH Sensor indicates charging status. Blue LED on steady while sensor is connected to the Micro USB Cable or Charging Station. Thoroughly rinse the lower section of the probe, especially around the bulb shaped tip, using distilled or deionized water. Do not leave the electrode in acids or bases with concentrations greater than 1.0 M for periods longer than 5 minutes. See www.vernier.com/ph-sensors for other types of pH electrodes. By default, the units displayed will be in pH. See www.vernier.com/til/3984 to change the displayed units. 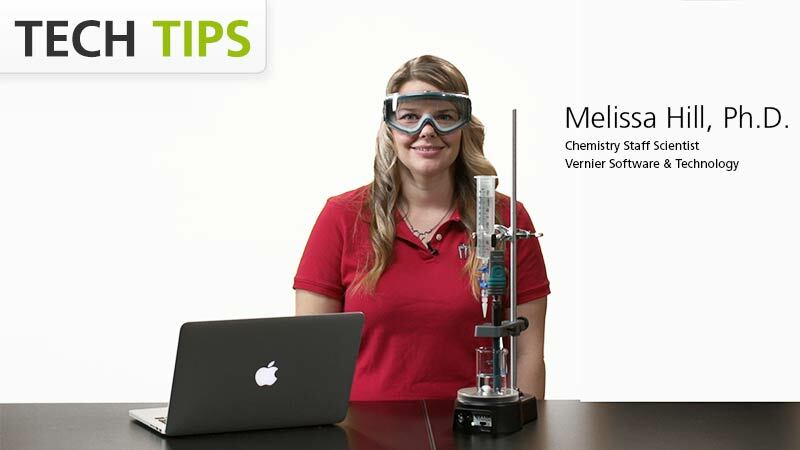 Follow along as our Chemistry Staff Scientist, Melissa Hill, PhD, walks through how to use Go Direct pH to measure the acidity of various household solutions. Instructions for this experiment are available in our Physical Science with Vernier lab book, and standards correlations are available on our website. For many experiments, calibrating the Go Direct pH Sensor is not required. A calibration equation is stored on each pH Sensor before it is shipped, which is used as a default by Vernier software. To calibrate the sensor in Graphical Analysis, complete the following steps. Click or tap the sensor meter to view sensor options. Select Calibrate and follow the applicable prompts on the Calibrate Sensor screen. Once you have calibrated your Go Direct pH Sensor, the calibration is automatically stored to the sensor and will be used each time you connect to your device. You can always choose to restore factory defaults if you feel the custom calibration is invalid. To restore factory defaults in Graphical Analysis, complete the following steps. Click or tap the live readouts meter and choose Calibrate. Click or tap Reset Calibration. A window will appear warning you that you are about to reset the calibration. Choose Reset Calibration. Long-term storage (more than 24 hours): Store the electrode in a pH 4 buffer/KCl storage solution in the storage bottle. The pH electrode is shipped in this solution. Vernier sells 500 mL bottles of pH Storage Solution (order code PH‑SS), or you can prepare additional storage solution by adding 10 g of solid potassium chloride (KCl) to 100 mL of pH 4 buffer solution. Vernier sells a pH Buffer Capsule kit (PH‑BUFCAP) that includes a buffer solution preservative. Storing the electrode in this solution contributes to electrode longevity and retains electrode response time when the unit is placed back into service. The Go Direct pH Sensor contains a small lithium-ion battery in the handle. The system is designed to consume very little power and not put heavy demands on the battery. Although the battery is warranted for one year, the expected battery life should be several years. Replacement batteries are available from Vernier (order code: GDX-BAT-300). To store the Go Direct pH Sensor for extended periods of time, put the device in sleep mode by holding the button down for at least three seconds. The red LED will stop flashing to show that the unit is in sleep mode. Over several months, the battery will discharge but will not be damaged. After such storage, charge the device for a few hours, and the unit will be ready to go. The Go Direct pH Sensor is not water resistant and should never be immersed in water. pH is measured potentiometrically when using an electrode. In other words, your measurement is based on an electrical signal. A potential develops across the glass membrane of a pH electrode when it comes in contact with a solution. This potential varies as the pH varies, but requires a constant second potential to compare the changes against. This is the function of the reference electrode, to provide a constant potential, regardless of pH. The Vernier gel-filled Go Direct pH Sensor is designed to make measurements in the pH range of 0 to 14. The gel-filled reference half cell is sealed; it cannot be refilled. The pH Sensor is designed to be used in aqueous solutions. The polycarbonate body of the sensor can be damaged by many organic solvents. In addition, do not use the sensor in solutions containing: perchlorates, silver ions, sulfide ions, biological samples with high concentrations of proteins, or Tris buffered solutions. Do not use the sensor with hydrofluoric acid or in acid or base solutions with a concentration greater than 1.0 molar. See www.vernier.com/bnc-electrodes for other types of pH electrodes. When testing a Go Direct pH Sensor, it is best to measure a buffer solution because it is easier to determine if the sensor is reading correctly. Do not test your sensor by measuring distilled water. Distilled water can have a pH reading in the range of 5.5–7.0, due to varying amounts of dissolved carbon dioxide. Furthermore, due to a lack of ions, the pH values reported with the sensor in distilled water will be erratic. If your pH Sensor is reading differently from the pH of a buffer solution (e.g., reads 6.7 in a buffer 7), you may simply need to calibrate the sensor. See the Calibrating the Sensor section for more information. Examine the glass bulb. If it is broken, pH readings will be incorrect. Soak the pH Electrode for 4–8 hours in an HCl solution of 0.1 M–0.5 M.
Rinse off the electrode and soak the tip in freshly prepared long term storage solution (recipe above) for 30–60 minutes. Rinse the electrode and test it with buffer solutions of known pH. 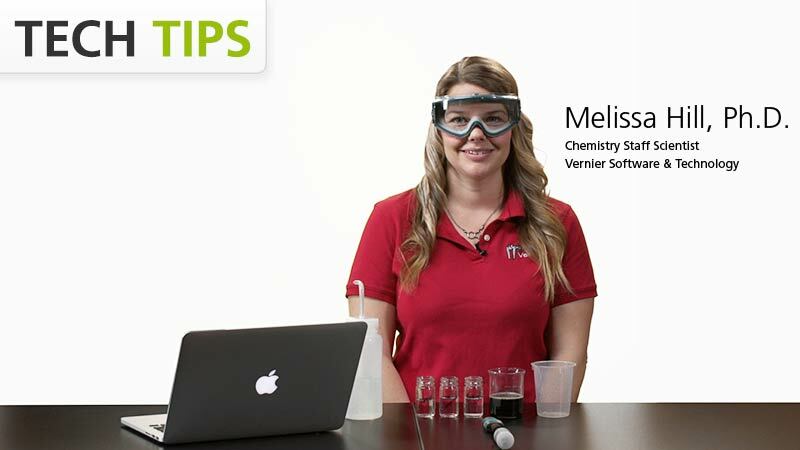 If you have watched the related product video(s), followed the troubleshooting steps, and are still having trouble with your Go Direct pH Sensor, contact Vernier Technical Support at support@vernier.com or call 888-837-6437. Support specialists will work with you to determine if the unit needs to be sent in for repair. At that time, a Return Merchandise Authorization (RMA) number will be issued and instructions will be communicated on how to return the unit for repair.